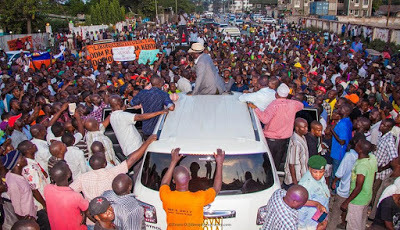 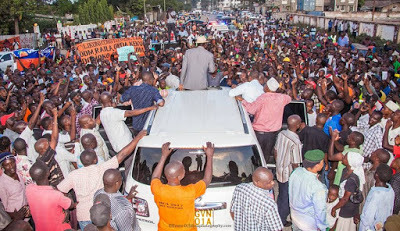 On Tuesday Cord leader Raila Odinga brought Mombasa town to a standstill as he attracted a massive crowd everywhere he went. 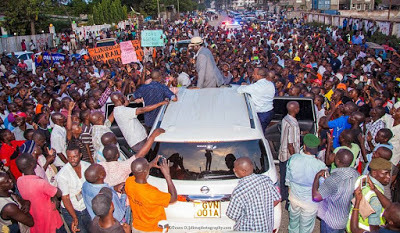 The former prime Minister visited the coastal city to commission the opening of the Fidel Odinga Road which was named after his late son Fidel Makorios Odinga who passed away last year. 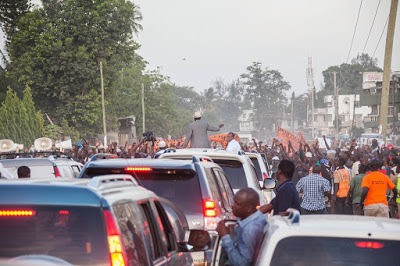 It was a hard time for security as they tried to control the enthusiastic crowd that waved and ululated whenever Baba gave them a warm smile.